Eli Lilly’s Cyramza has succeeded in hitting its primary endpoint at Phase 3 in combination with erlotinib, the company said, as a first-line treatment in patients with metastatic NSCLC in patients whose tumours have activating EGFR mutations. Eli Lilly’s vascular endothelial growth factor (VEGF) Receptor 2 antagonist Cyramza (ramucirumab) has succeeded in hitting its primary endpoint at Phase 3 in combination with erlotinib, the company said, as a first-line treatment in patients with metastatic non-small cell lung cancer (NSCLC) in patients whose tumours have activating EGFR mutations. The data showed that the Cyramza combo achieved “statistically significant improvement in the time patients lived without their cancer growing or spreading after starting treatment” compared to placebo plus erlotinib, meeting its primary endpoint of progression-free survival (PFS). "Despite recent treatment advances in metastatic EGFR-mutated non-small cell lung cancer, prognosis remains poor and there is an ongoing need for additional first-line treatment options to help patients with this deadly disease," Dr Maura Dickler, Vice President of Late Phase Development at Lilly Oncology. "We are excited about these results, which show Cyramza plus erlotinib significantly delayed disease progression in this patient population. The RELAY trial is another example of Lilly's deep commitment to providing new treatment options to patients with lung cancer." 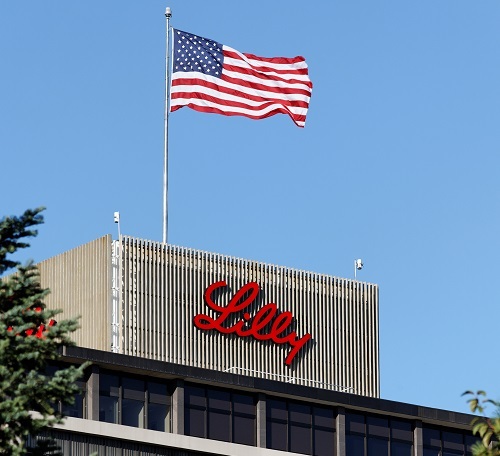 Lilly said that it plans to launch efforts to secure regulatory approval around the world in mid-2019.